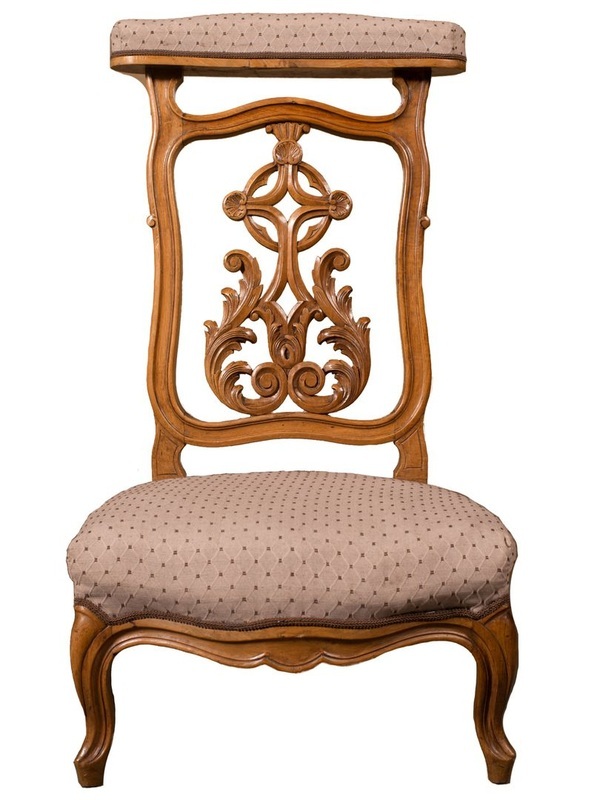 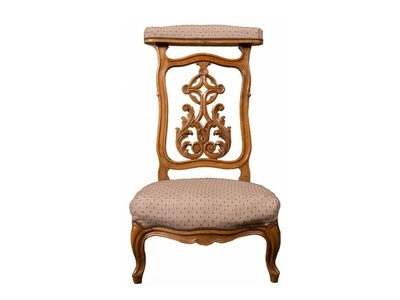 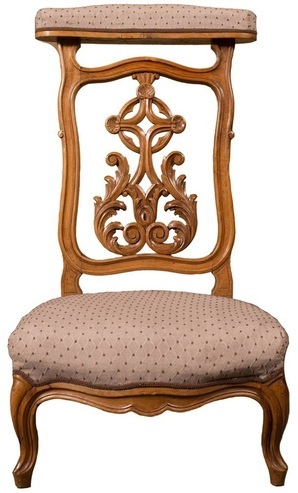 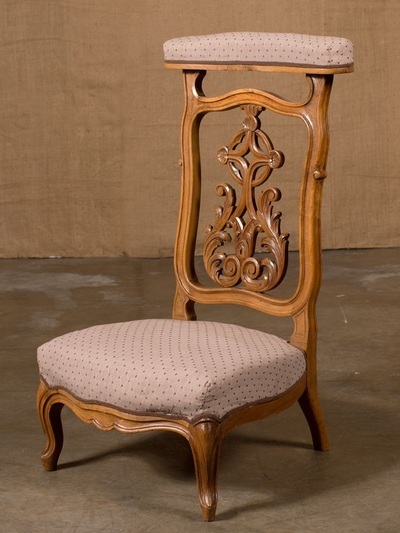 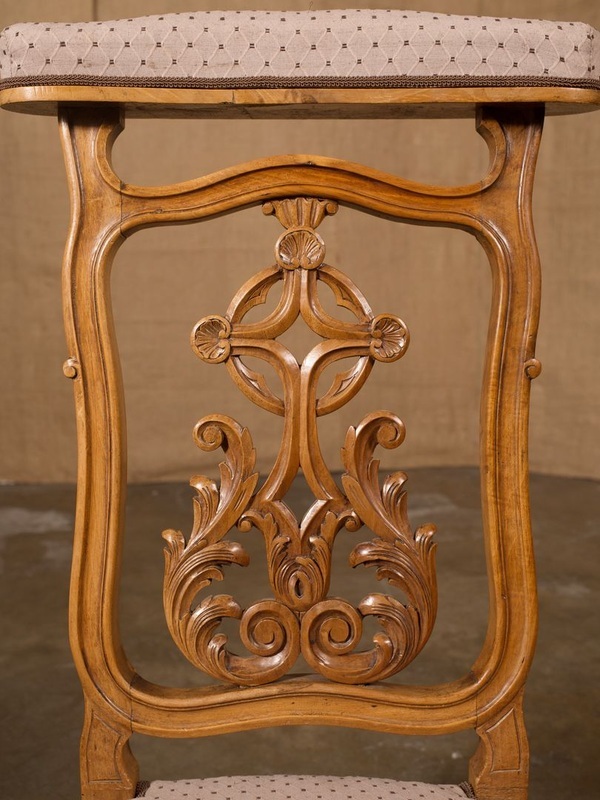 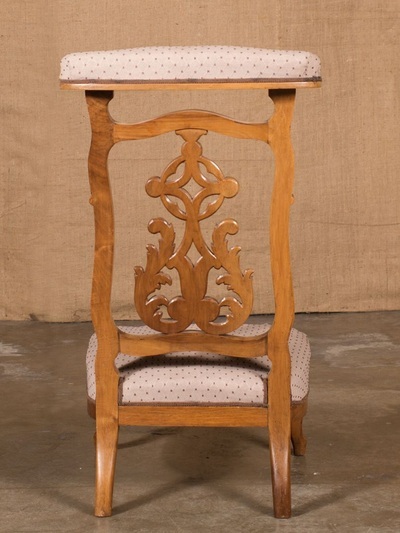 Charming antique French Louis XV prie dieu (prayer chair) carved from walnut. 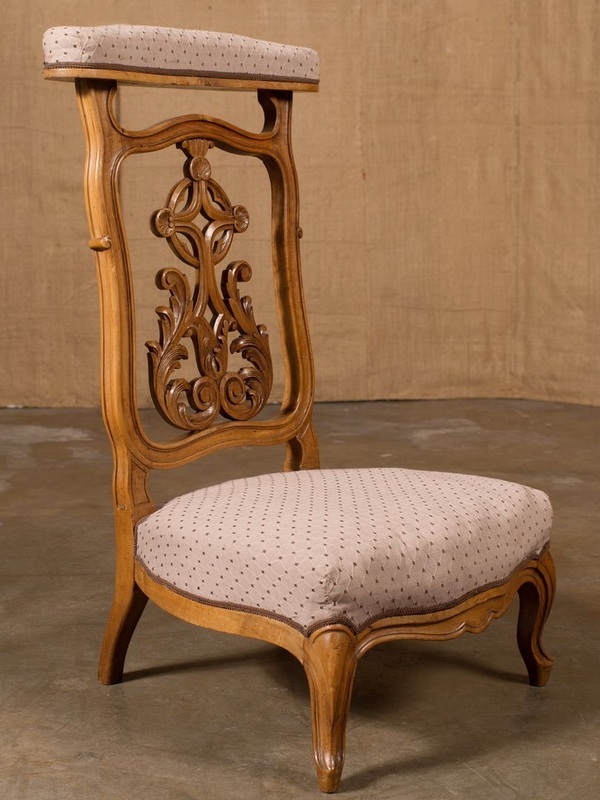 Circa 1870. Covered, sloped top to rest one's arms or a prayer book with a carved, pierced back splat featuring a cross and scrolling foliate. 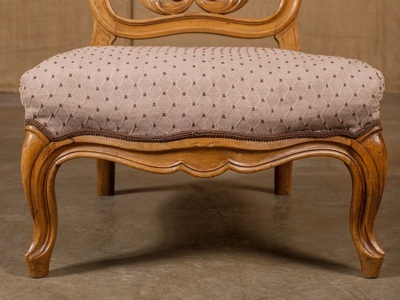 Padded seat raised on short cabriole legs. 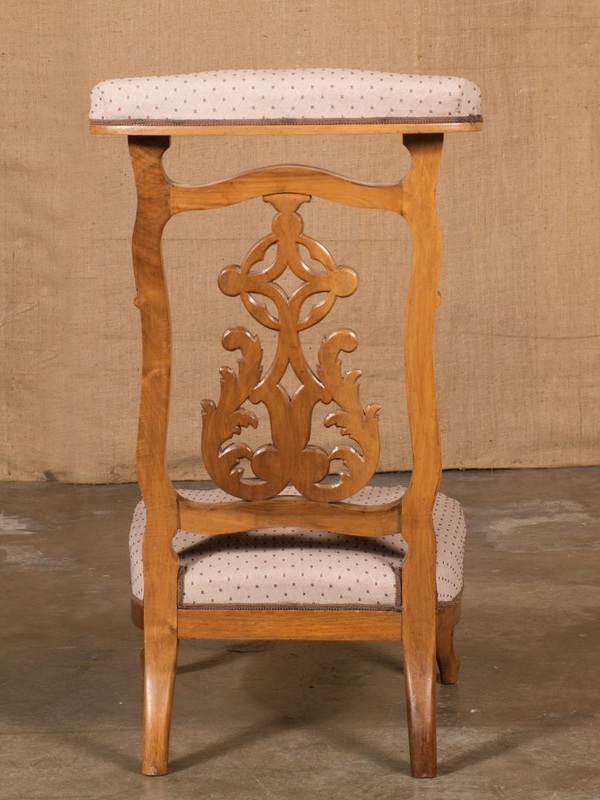 Primarily used in private chapels, prie dieus provided a place for an individual to kneel at prayer.